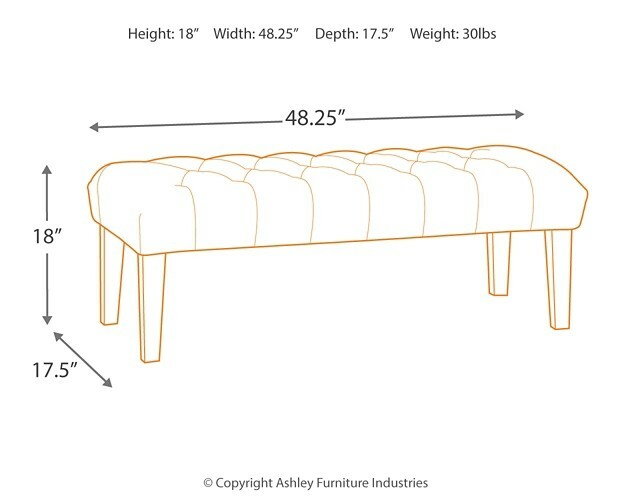 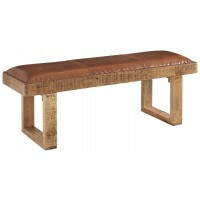 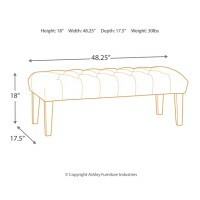 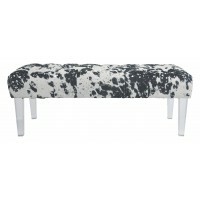 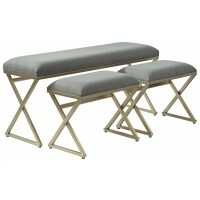 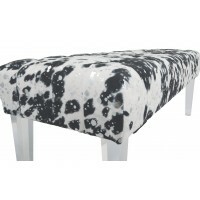 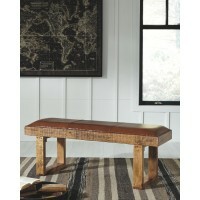 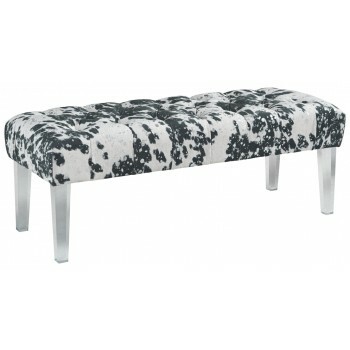 Luxurious and contemporary, this accent bench expresses your high style. 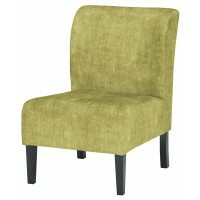 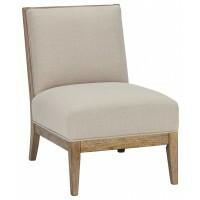 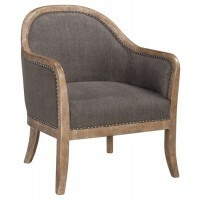 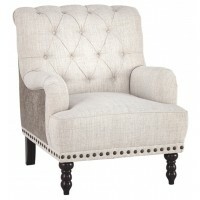 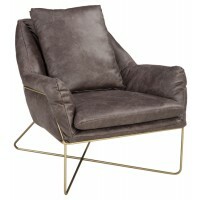 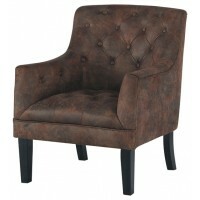 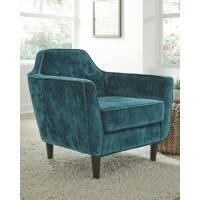 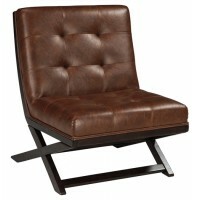 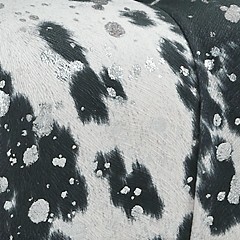 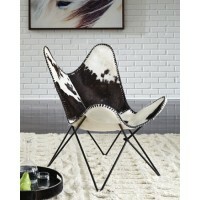 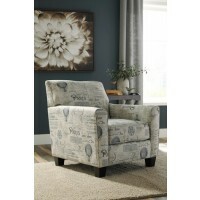 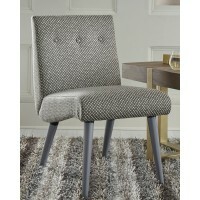 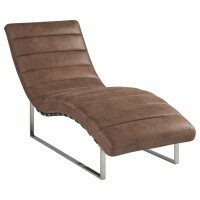 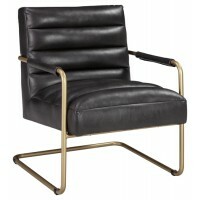 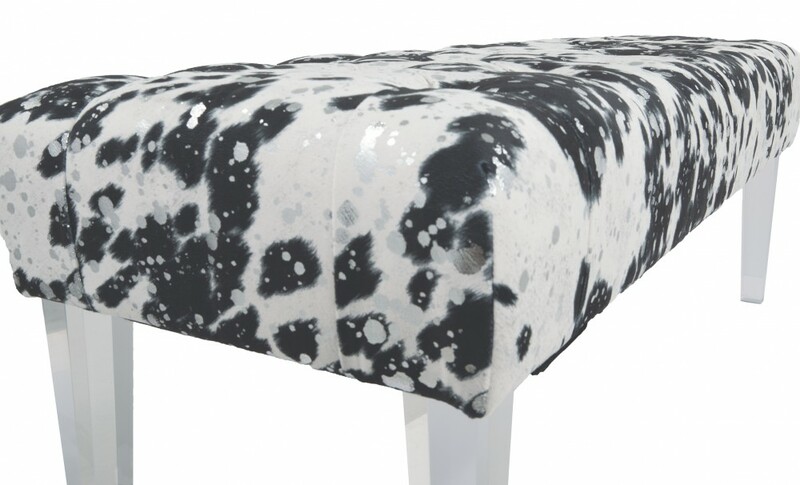 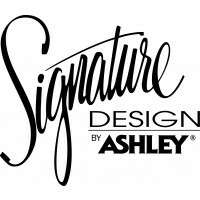 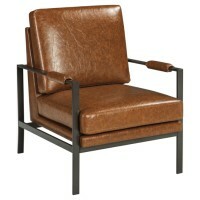 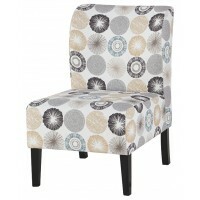 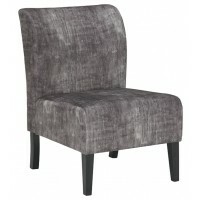 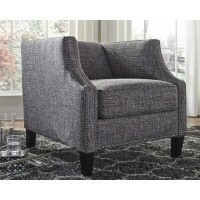 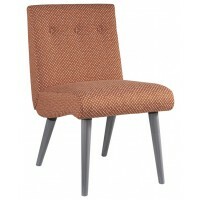 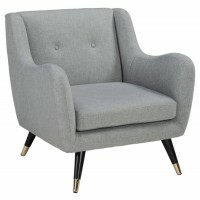 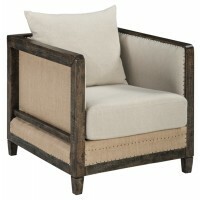 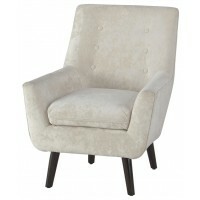 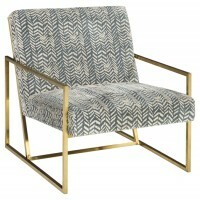 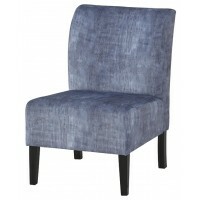 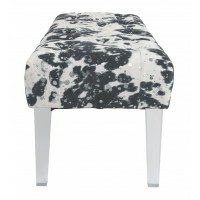 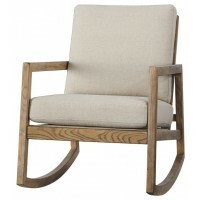 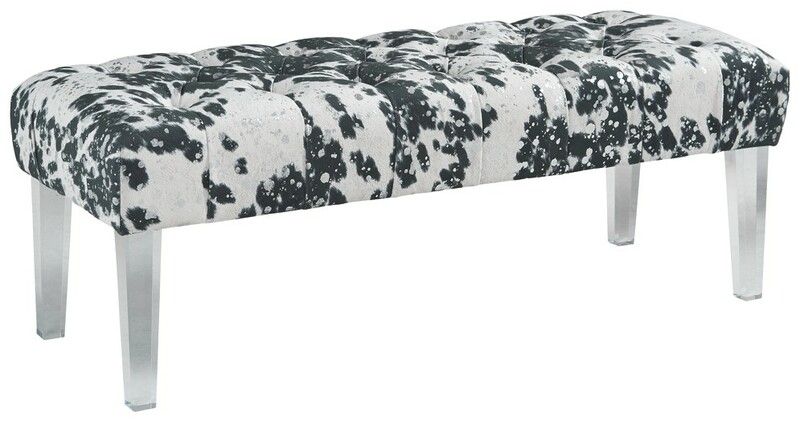 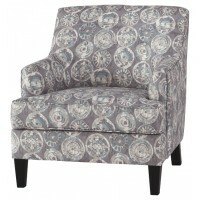 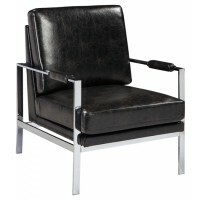 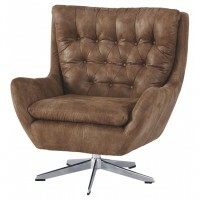 Metallic cowhide fabric is an upscale touch to the plush and tufted seat. 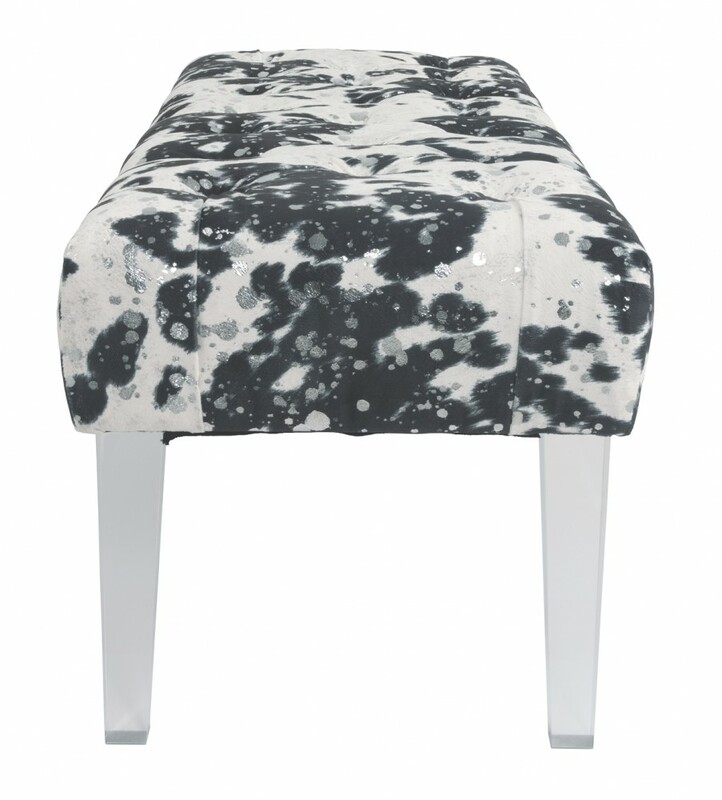 Fashion-forward acrylic legs are clear in appearance but sturdy in foundation. 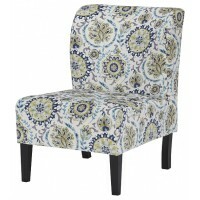 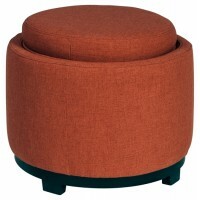 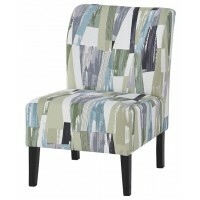 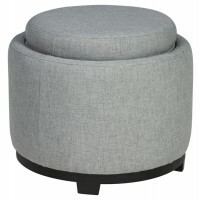 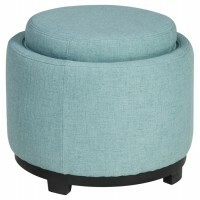 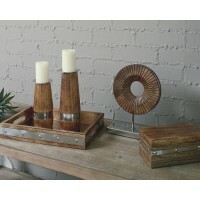 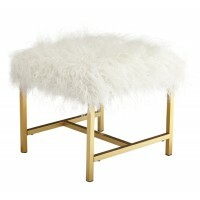 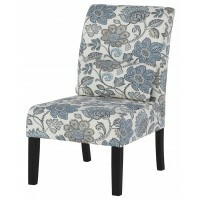 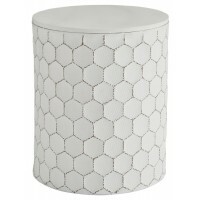 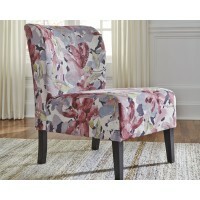 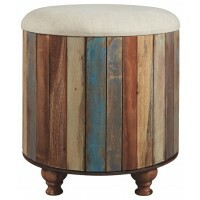 No matter if placed with a vanity or at the foot of your bed, you’ll be sitting pretty.